(CNN) - Osama bin Laden wore the mantle of a religious leader. He looked the part and talked a good game, but his theology was a radical departure from traditional orthodox Islam. The pitch to join al Qaeda did not start with an invitation to put on a suicide vest but, like other religious splinter groups and cults, took advantage of disenfranchisement and poverty. Bin Laden had no official religious training but developed his own theology of Islam. 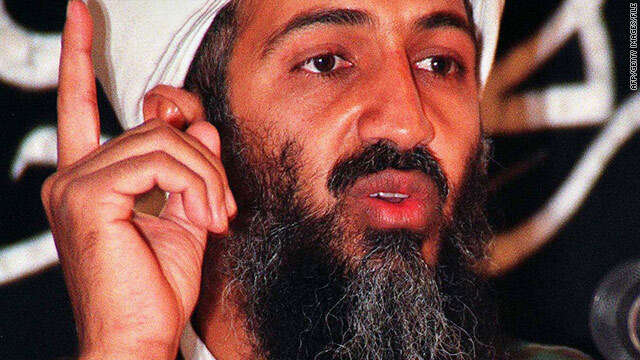 "We don't know that (bin Laden) was ever exposed to orthodox Islamic teachings," said Ebrahim Moosa, a professor of religion and Islamic studies at Duke University. The writing of ideologues in the Muslim Brotherhood influenced bin Laden heavily, Moosa said. "He takes scriptural imperatives at their face value and believes this is the only instruction and command God has given him - unmediated by history, unmediated by understanding, unmediated by human experience. Now that's a difference between Muslim orthodoxy and what I would call uber- or hyperscripturalists," Moosa said. The vast majority of Islamic scholars and imams say the teaching of the Prophet Mohammed happened in historical context that needs to be understood when reading and interpreting the Quran. "If the likes of bin Laden, if they had spent one day or maybe one month possibly, in a madrassa (Muslim religious school) and understood how the canonical tradition is interpreted, they would not go onto this kind of destructive path they go on," Moosa said. In the entire leadership structure of al Qaeda, "no one has had any sort of formal religious training from any seminary," said Aftab Malik, a global expert on Muslim affairs at the United Nations Alliance of Civilization. He is researching a Ph.D. on al Qaeda. "What you had was an engineer and a doctor leading a global jihad against the whole world," Malik said. "That would never happen in normative Islam. It's just such an aberration." John Esposito, a professor of religion and international affairs at Georgetown University's School of Foreign Service, said bin Laden "appropriates Islam ... to legitimate and mobilize people." "If you look at bin Laden's early statements and arguments, his interview with Peter Bergen on CNN ... lots of people would see it as something that would go down very well not just with many Muslims but among many analysts when he talks about longstanding political grievances," Esposito said. "What bin Laden ends up doing is saying anyone who disagrees with him, any Muslim, is in fact an apostate," he said. That includes Muslims who would not join his fight, he said. "It's a distortion of the traditional teaching, and it just extends the parameters and the consequences in order to legitimate how when you're fighting on the ground you're fighting against your own people." Malik said, "The key issue is of apostasy," referring to when a person leaves a faith. "One of the things Osama bin Laden deviates from is calling those people who do not implement Sharia, or God's law, on the planet as apostates. If they did not implement Sharia, they deserved death. This is a major departure from normative Islam." "The second major deviation is the targeting of noncombatants. Even when you read in the Quran there are injunctions for fighting. But before and after the injunctions for fighting are calls for restraint. 'Do not attack monks, do not attack women, do not attack children.' And these are numerated heavily in the Hadith, which are uncontested," Malik said, referring to the sayings of the prophet and his close companions. "What bin Laden has done is ignored those injunctions," he said. "The reason he has ignored them, in Osama bin Laden's theology it's basically a theology of anarchy. "Once you let the genie out of the bottle you can't put it back in, and that's the big difference between al Qaeda theology and normative Islam. Normative Islam has heavy constraints - very, very heavy." Bin Laden's theology is waning greatly in influence, Esposito said, in part because of the rise of the Arab Spring, the revolts of people on the street across the Middle East that have overthrown regimes in Tunisia and Egypt. "(Al Qaeda's) whole notion was to develop a mass movement," Esposito said. "Well, they never did." Many peole have thought of Osama as the enmydobemt of evil and they are rejoicing over the death of evil. But the evil in the world did not die only the man did. Evil does exist and will continue to exist in the world, it did not go away when Osama died. This is a good time to remind people that Osama was just a man, and the triumph over evil happened 2000 years ago when Jesus Christ died so that our sins could be forgiven and so that we could be reconciled to God. Jesus triumphed over evil! Islam as a Religion has been forced now to pay for what American politicians had sown into earth. The genuine peaceful muslims have been polluted by those created and many innocents are being harvested among those created ones ...!!! Old Investment was scapegoated for the sake of the new investment that is being created to replace it....!!! "Lets be careful with what we sow because we will harvest". (US Secretary of State Hillary Clinton). What is normative Islam? Shia intensely disagree with Suni and numerous substantial splinter groups disagree with each other about basic concepts of Islam. In any case, radical violence in fundamentalist Islam is certainly NOT uncommon as the authors here would have one believe. Fundamentalist Islamic theocracies like those in Iran, Pakistan, Saudi Arabia and Somalia torture and execute for non-violent victimless "crimes" like badmouthing Muhammad or suspected fornication or cross dressing and irreversibly punish petty crimes by lopping off hands, feet, ears, eyes, noses, tongues and teeth. And many such fundamentalist Muslim regimes and groups do believe the whole world should be forcibly made to follow Muslim law, Sharia, and that is why they aid and abet world terror groups like the Muslim Brotherhood, Hamas, Hezbollah and the Taliban. Furthermore, a great deal of the mass murder of random passersby by radical Islam on a global basis is quite unrelated to al Qaeda at all. It appears these Muslim academics have an agenda to mollify the infidel masses and lower their guard against the onslaught of a movement that means "submission" and stands directly opposed to Western values of democracy that is based upon absolute equality and intellectual and civil freedom for all.